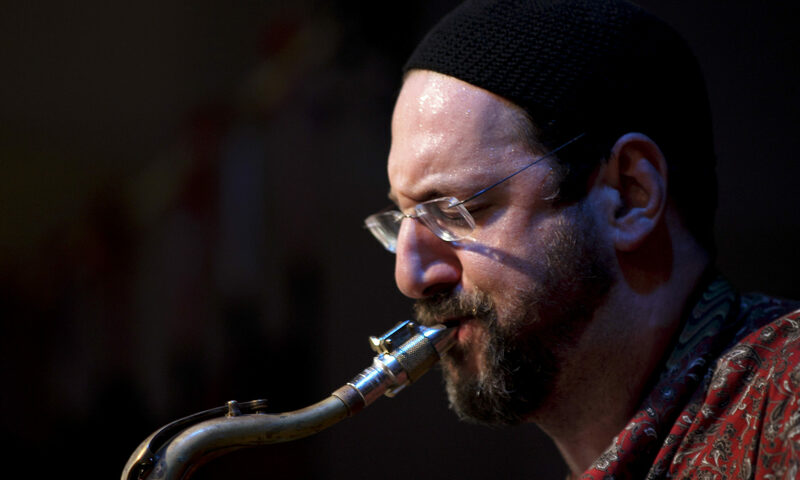 Saxophonist Greg Wall has performed and recorded with Hasidic New Wave, Greg Wall Trio, The Wall/London Band, Neshama Carlebach, the Hi-Tops, Greg Wall’s Unity Orchestra, and has made many session appearances for record dates and film scores. He was the musical voice of James Earl Jones in the recent feature film “On the QT”. Writing in Jazz Forum magazine Robert Buczek said, “Wall plays incredibly; his improvisations are well constructed and convincing.” The Cleveland Plain Dealer adds, “He plays with a consistent power and imagination.” His compositions for dance, jazz orchestra, and electronica have been widely performed and recorded. His critically acclaimed release, “From the Belly of Abraham”, with Hasidic New Wave and Senegalese master drummers Yakar Rhythms was named one of the ten best CD’s of 2002 by Jazz Times magazine. Greg performs frequently at top venues throughout North America and Europe and has been featured at many major festivals. Greg is equally fluent in the jazz and world music idioms and recently premiered his Unity Orchestra, a pan cultural ensemble featuring 8 musicians from 5 continents. Greg has collaborated with theCarolyn Dorfman Dance company since 1999, resulting in the commissioned scores for”Meyne Mentchen” (2000-2001), the electronic score, “Echad” (2002) , and the recently premiered “Lovelines” (2003) . His most recent releases include “Later Prophets“, Aaron Alexander’s “Midrash Mishmosh“,”From The Belly of Abraham” with Hasidic New Wave together with Senegalese master drummers Yakar Rhythms, “Ani Shelach”, with Neshama Carlebach, “Unauthorized’, with Dave’s True Story, KlezmerFest ‘s “Party Music”, Aaron Alexander’s “Blues for Sparky”, and the score to “Mayne Mentshen”.